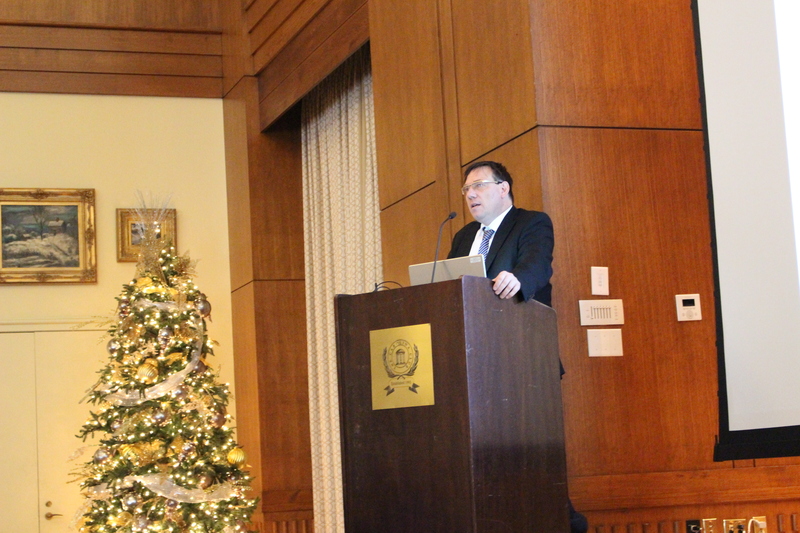 Researchers and clinicians attended the 2016 UNC-Duke Viral Oncology & AIDS Malignancy Symposium on Dec. 14 to hear presentations and share their perspectives on the latest efforts to prevent and treat cancers linked to infectious agents. Dirk Dittmer, PhD, is a professor in the UNC School of Medicine and co-leader of the UNC Lineberger Global Oncology and Virology programs. Blossom Damania, PhD, is vice dean for research at the UNC School of Medicine and co-leader of the UNC Lineberger Global Oncology and Virology programs. Nearly one in six cancers diagnosed worldwide are attributable to a viral or bacterial infection. Galvanized by that statistic, researchers and clinicians attended the 2016 UNC-Duke Viral Oncology & AIDS Malignancy Symposium on Dec. 14 to hear presentations and share their perspectives on the latest efforts to prevent and treat cancers linked to infectious agents. The event featured talks by Frederick Wang, MD, a professor at the Harvard Medical School and Brigham and Women’s Hospital, on Epstein-Barr virus-associated lymphomas, and by Sallie Permar, MD, PhD, an associate professor in the Duke Department of Pediatrics and Duke Global Health Institute, on strategies to protect against cytomegalovirus infection passed to newborns. 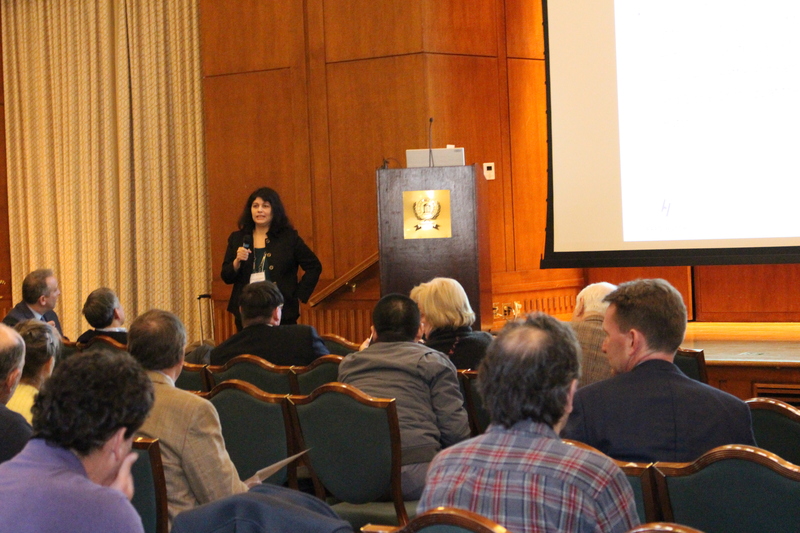 The symposium was co-hosted by UNC Lineberger members Blossom Damania, PhD, vice dean for research at the UNC School of Medicine and co-leader of the UNC Lineberger Global Oncology and Virology programs, and Dirk Dittmer, PhD, professor in the UNC School of Medicine and co-leader of the UNC Lineberger Global Oncology and Virology programs. Corey Casper, MD, MPH, head of global oncology at the Fred Hutchinson Cancer Research Center and a professor at the University of Washington, presented research on the impact of HIV on strategies to prevent infection and associated cancers. He emphasized that physicians and researchers can make a big impact on prevention and treatment of infection-linked cancers. The prevalence of cancer caused by infectious disease is not equally distributed around the world. Casper said about 9 percent of cancers are caused by infectious diseases in Seattle, where he works, while about 60 percent of cancers are caused by infectious diseases in Uganda. He highlighted this fact, and drew parallels to UNC Lineberger’s efforts to study and treat cancer and HIV in Lilongwe, Malawi through UNC-Project Malawi. “These are where these cancers are, and to study them effectively and efficiently, (we have to) study them where they’re happening,” he said. Casper presented research into prevention of the Kaposi sarcoma, a cancer linked to a herpes virus, as well as Epstein-Barr virus-linked lymphoma and cervical cancer linked to human papillomavirus, or HPV. He shared research findings from his work in Uganda revealing that in the first two years of life, there was no incidence of human herpesvirus-8 infection in a group of infants, despite being exposed to the virus by their parents and siblings. Their findings were published in The Journal of Infectious Diseases. Those infants appear to have a natural immunity against HHV-8, the virus linked to Kaposi sarcoma up to two years of age, Casper said. This is interesting because in Uganda, more than 85 percent of the population is infected with human herpesvirus-8, suggesting that human herpesvirus-8 infection is acquired later in life (i.e. after two years of age) in this population. Their finding sheds light on early innate immunity in infants. “We may be able to prophylactically treat, or prevent, HHV-8 infections, whether through an anti-retroviral or antiviral … but clearly there is some natural immunity to infection, but we don’t yet understand what confers that immunity,” Casper said. Researchers believe that work into preventive vaccines against cancer-linked viruses could make an impact on cancer incidence worldwide. “Insights from global clinical studies suggest that preventive vaccines against cancer-associated herpes viruses may be an effective way to reduce the cancer burden, and, in the long run, prove as effective as existing vaccines against human papillomaviruses, which cause oral and cervical cancers, or hepatitis B virus, which causes liver cancer,” Dittmer said.